We offer complete service options to meet your every electrical need. From small wiring issues to large remodelling projects, owner Claude Paquette, Master Electrician, always delivers the best results! At Energy Logic Electrical Services, we take safety seriously. We are highly skilled in our field and carefully trained to provide every service with yours and our own safety in mind. We invest in proper safety equipment, updated tools, and high-quality materials in order to ensure the results of our work will be safe from beginning to end. We perform many electrical services and we feel strongly that safety should be the primary function of each and every one. We have over 25 Years Experience and offer Free Estimates on your projects! We’re bonded, licensed, and insured and ready to help you with anything you need. Call today! You Should Know Us, Our Competition Does! 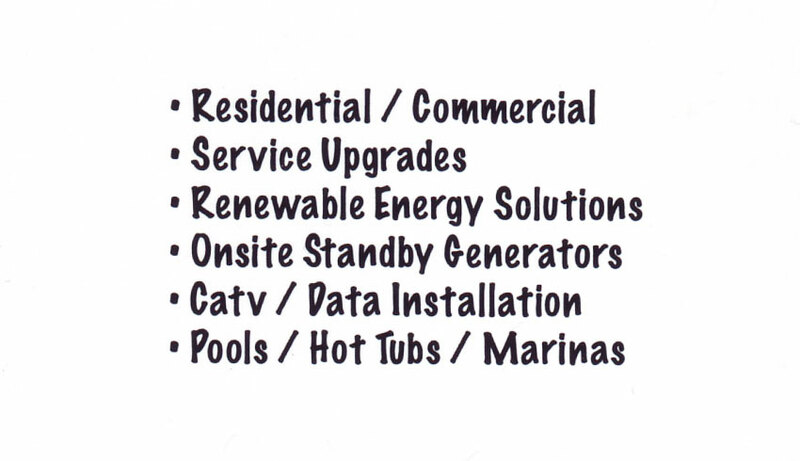 Energy Logic Electrical Services, Electricians & Electrical Contractors, Home Improvements & Renovations, Serving All of Greater Sudbury and Surrounding Areas, Espanola & North Shore. 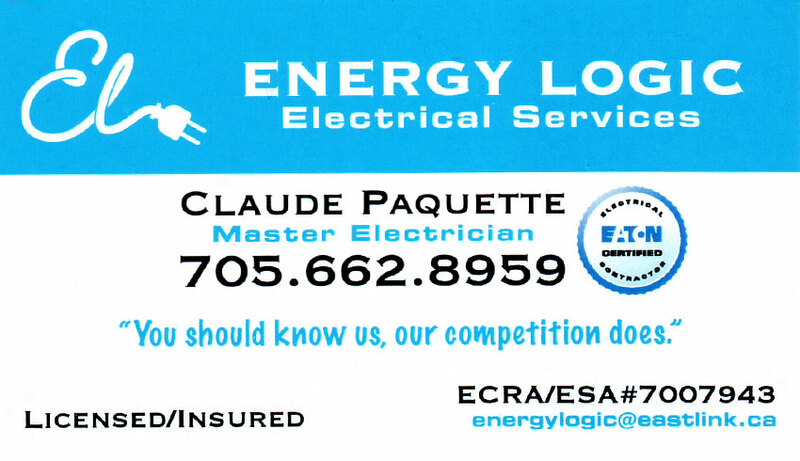 Claude Paquette, Master Electrician, Licensed & Insured, 705-662-8959.